PHOENIX — U.S. Rep. Paul Gosar introduced on Thursday the bi-partisan Grand Canyon Bison Management Act, which would allow the use of wildlife management and conservation techniques on the bison population within Grand Canyon National Park. Specifically, the act would require both the U.S. Department of Interior and the Arizona Game and Fish Commission to coordinate on a plan to manage the bison population utilizing volunteer sportsmen holding a valid state-issued hunting license. The volunteers would then be allowed to cull bison and remove the harvested animal from the park. Over the past few decades, the bison abundance, distribution, unfettered reproduction and movement in and near the Grand Canyon’s North Rim, have impacted both natural and cultural resources within the Park. 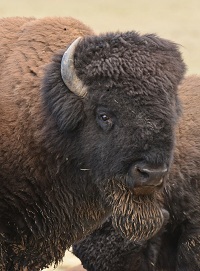 Wildlife surveys estimate that about 600 bison have migrated into the Grand Canyon National Park. While hunting is prohibited in the park, the practice is an established and effective management tool to maintain a healthy balance between wildlife and habitat on 51 million acres of National Park Service (NPS) lands on 59 properties. The NPS recently issued a draft environmental assessment that recommended excess bison inside the Grand Canyon be culled through paid sharpshooters. The bill is co-sponsored by U.S. Reps. Trent Franks (R), Tom O’Halleran (D) and David Schweikert (R). U.S. Sens. John McCain and Jeff Flake have also shown their support for utilizing Arizona’s hunters to maintain bison populations as a means to protect the Grand Canyon’s resources. Both sponsored a similar bill in the Senate in 2015.